Passover charoset recipes vary widely, but they all tend to include apples, nuts, and a splash of something sweet to tie it all together. Some are more of a finely chopped fruit and nut salad, while others are more of a spreadable paste. Whichever version you choose will yield a sweet, nutty spread that’s delicious on top of matzo! You can’t go wrong! Charoset is traditionally served as part of the Passover Seder. Seder means “order” in Hebrew, referring to the specific order in which we perform the rituals and readings of the Passover meal. When it comes time to enjoy the charoset, it’s eaten spread on matzo by itself, or sandwiched between two pieces of matzo along with a layer of horseradish. That’s the classic Hillel Sandwich (it originally contained lamb, too, but in modern times we just include horseradish and charoset). Charoset on matzo is meant to symbolize the mortar between the stones of the pyramids in Egypt. My recipe is a mashup of Ashkenazi and Sephardic styles. I love how the paste-like, Sephardic-style charoset is bound with sticky-sweet dates to truly resemble the mortar it is meant to symbolize. Ashkenazi-style charoset, on the other hand, tends to be a looser mixture of chopped apples and nuts, sweetened with a glug or two of concord grape juice or Manischewitz wine. With this recipe, you get the best of both worlds. The mixture sticks together and won’t fall off your matzo cracker, but there are juicy chunks of diced apple throughout to add crunch and offset the sweetness of the dates. I use orange juice instead of wine, which adds a little bit of tanginess and is kid-friendly, too. Oh, and oranges are a modern Passover symbol, meant to acknowledge those who feel marginalized in the Jewish community. If you make charoset ahead of time, the flavors will have a chance to meld and mellow. It keeps for up to two days in the fridge. Just before serving, you can add a little more juice or a little more spice, to taste. When buying dates, look for fresh ones—they should be dark brown, soft, and heavy for their size. If you are only able to find drier dates, you can soften them by letting them soak for five minutes in hot water. Drain the dates before proceeding with the recipe. You can also use this recipe as a template and get creative. Add some orange zest, swap in different chopped nuts (almonds and pecans are commonly used), or throw in a handful of raisins. Leave out the dates for a more Ashkenazi-style charoset, or process the apples with the dates to get a more pasty, Sephardic-style spread. Oh, and feel free to add some Manischewitz if you just can’t imagine charoset without it! 1 Process the nuts: Add the walnuts to a food processor. Process them in 1-second pulses, until they are finely chopped. Transfer them to a bowl. Reserve 1 tablespoon to use as a garnish. 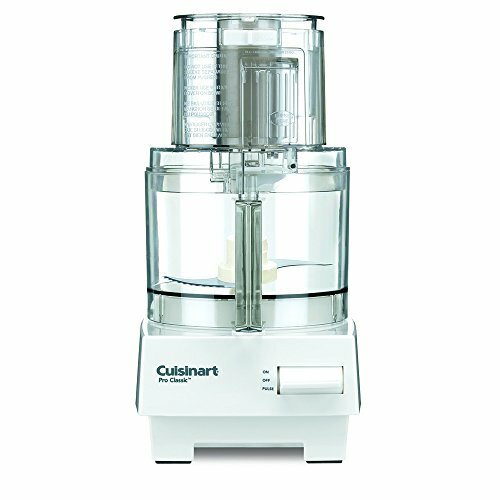 2 Create a paste: Add the pitted dates and orange juice to the now-empty food processor. Process them until they form a thick paste, scraping down the sides if necessary. 3 Combine the ingredients: Add the paste to the bowl with the chopped nuts. Add the apple, cinnamon, and ginger to the bowl and stir to combine. 4 Adjust the flavor and serve: Taste the charoset and add more juice or wine, cinnamon, or ginger to taste. The charoset can be served right away, or up to two days after it is prepared. (Keep refrigerated.) To garnish, sprinkle with the reserved tablespoon of walnuts. Hello! All photos and content are copyright protected. Please do not use our photos without prior written permission. If you wish to republish this recipe, please rewrite the recipe in your own unique words and link back to Charoset with Apples, Dates, and Walnuts on Simply Recipes. Thank you!